We’ve had requests for years for small, handy notebooks. We’ve seen them all and we love these. The Retro is a lux leather cover in conservative black or brown or – the wild green with a striped blue pen. 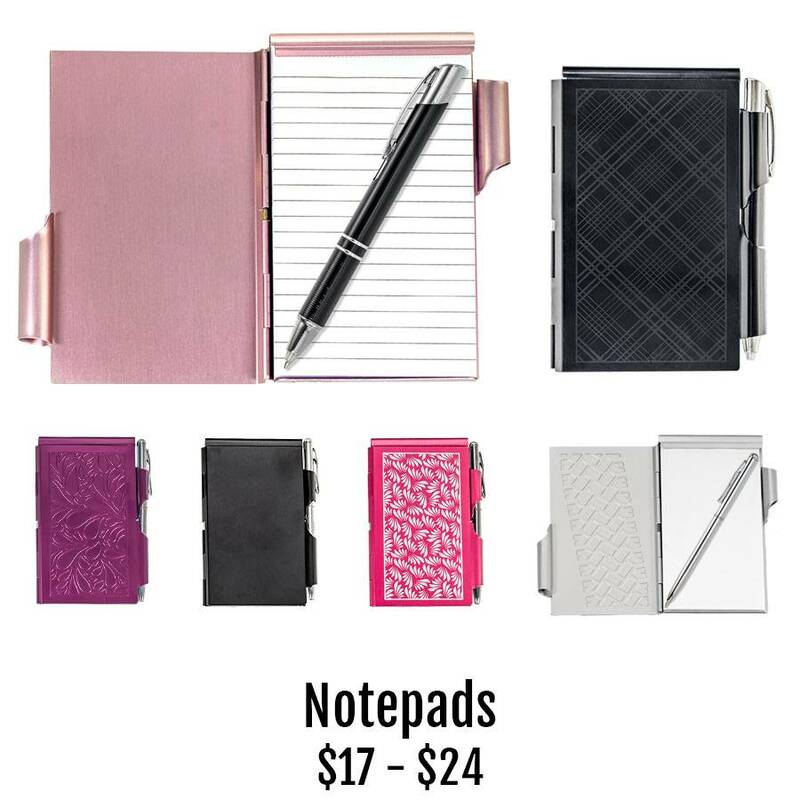 The new Night Notepads and the smaller Mini Notepads feature metallic covers that are clipped into place with the pen which is included; an ingenious device of convenience. Pull the pen and the spring-loaded cover exposes the notepad. Finish your note, insert the pen, and the cover is locked. The mini notepad is 4” x 2.25” which is almost shirt pocket-sized; very convenient. The large Night Notepad measures 5.5” x 3.25”. The large notepad includes a ballpoint pen which lights up to illuminate your writing surface.